Detroit newspaper reporter Julia Gooden returns in a twisting, superbly assured new mystery, where a brutal murder and a father’s sudden return may provide the answers she’s spent decades searching for . . . or lead deep into a fatal trap. This is the third Julia Gooden mystery. Julia is a crime reporter. She sees things every day that haunt her. Not the least of which is her own childhood. A con man father who abandons them, a mother who climbs into a bottle and neglects her children. And the most haunting of all, the disappearance of her brother Ben when she was 7 and he was 9. He was more that a brother. He was her protector, her person. After the drama of everything that has happened to this point, Julia has found a man who she loves and trusts. Her two sons are still raw from the death of their father and his secrets. But with help from a new love and a few good friends, they’re getting by. 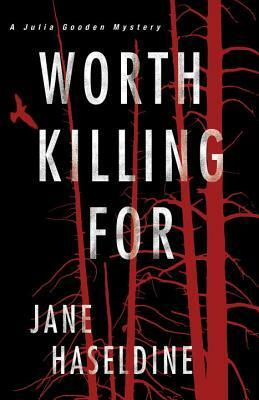 When Julia starts investigating the murder of a young man, the nephew of a city councilman, she uncovers a string of murders that all look the same and suddenly her very life as well as her children’s are in danger. And after 30 years her father has slithered back on the scene, setting them all up to be murdered unless Julia can figure out what really happened all those years ago and what really happened to Ben. I really enjoy these Julia Gooden mysteries. She is such a strong, intelligent woman and at the same time such a loving and capable mother. I have this one on my TBR and I’m looking forward to it. He was a slimy fellow! I am writing that name down. Sounds familiar, but I’ll check it out. cannot wait to check it out! Living just across the river from Detroit, I think i will have to check this series out. Thanks for sharing.